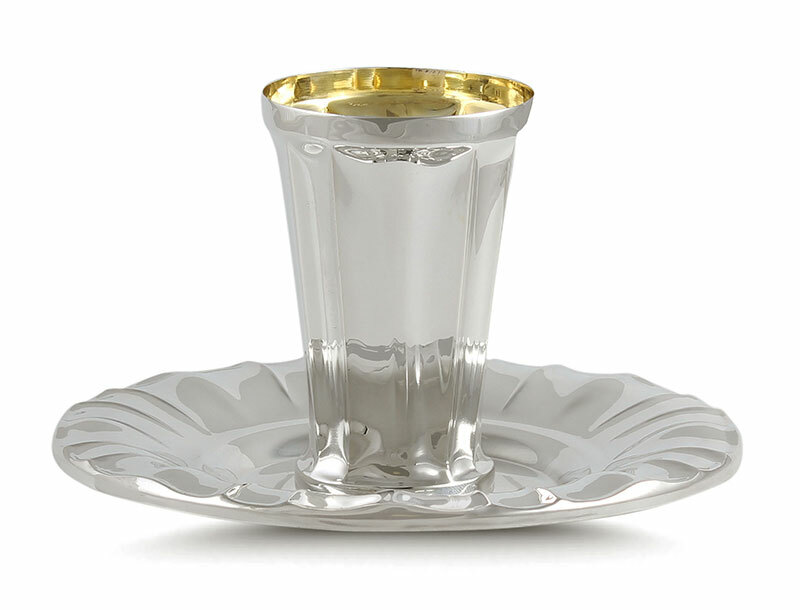 925 Sterling Silver Kiddush Cup and optional tray, please see the options below. This design features a truly classic smooth flowing design. The interior is gilded as shown. 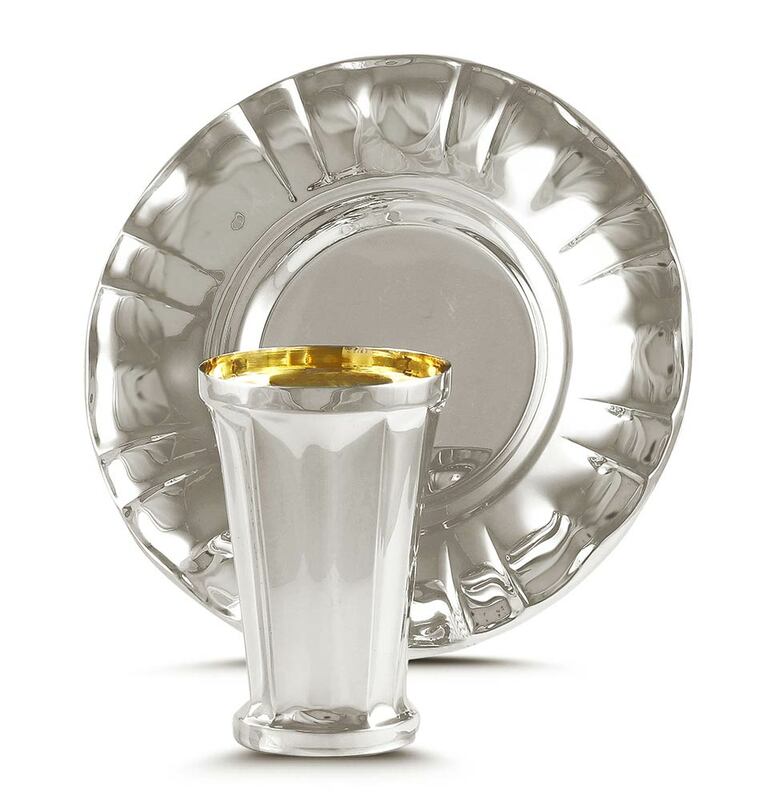 Sterling silver, the ultimate in Jewish gift giving for centuries. Invest in future generations, a sterling silver item will always be cherished and handed down for generations to come.